F.P. 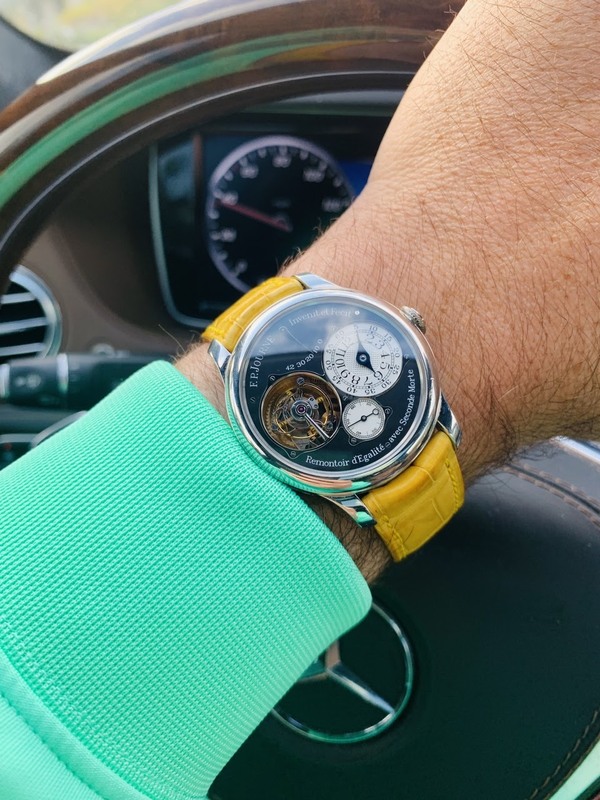 Journe - A splash of color on a Monday! A splash of color on a Monday! Who dares wins! Beautiful combo! That FPJ looks so good imho . on a bright red strap, but your combination really works.